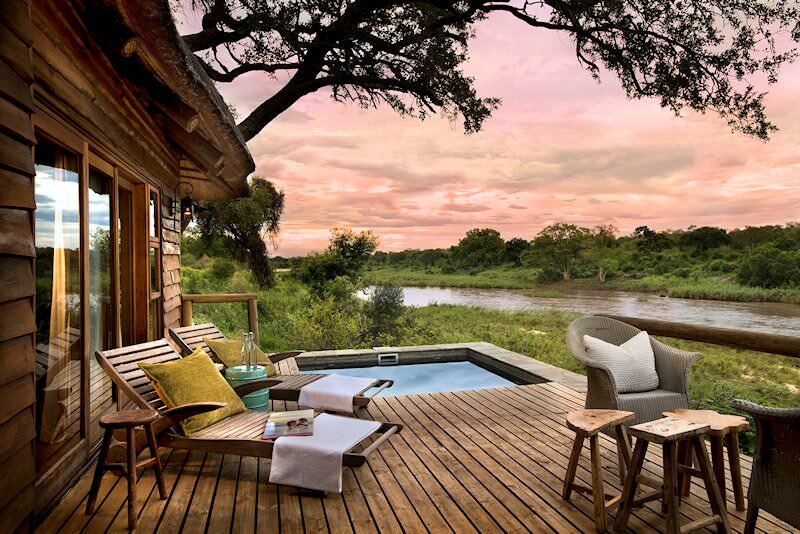 Lion Sands Narina Lodge is set on the prolific Sabie River in the Kruger National Park. 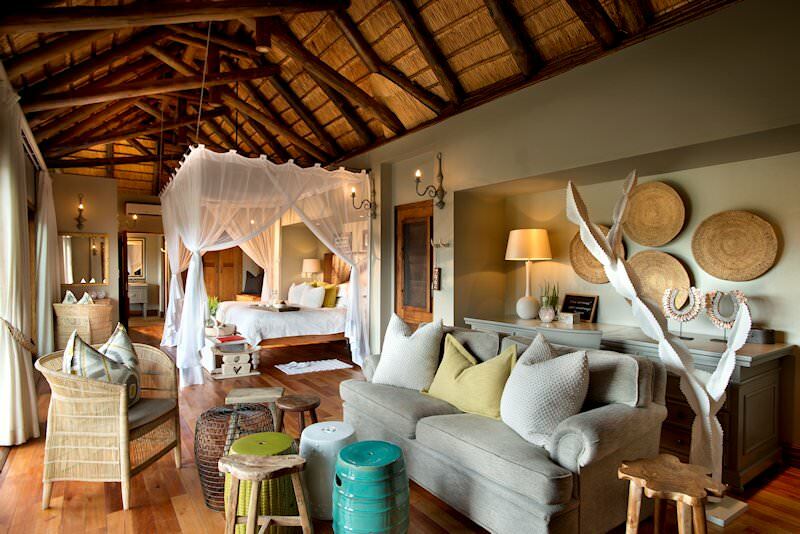 Lion Sands Narina Lodge is one of few ultra-luxury South African safari lodges situated inside the Kruger National Park itself. Privacy, personal attention and fine cuisine are the order of the day at Narina. 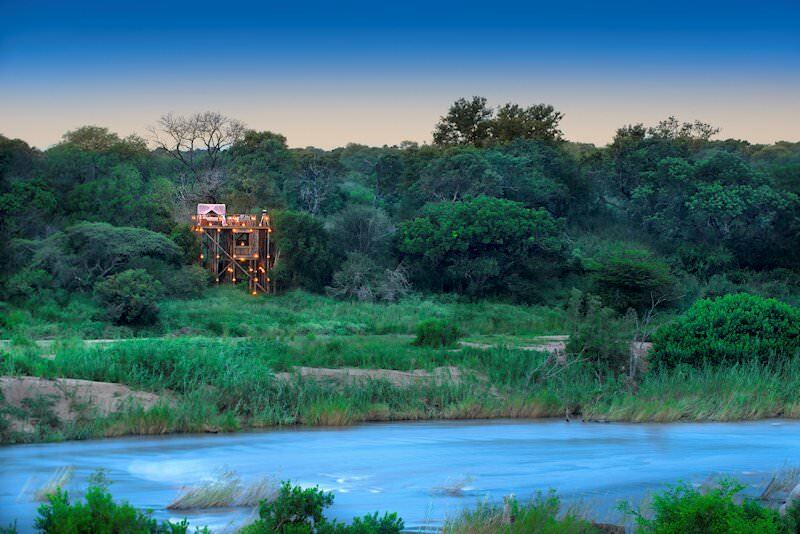 The setting is truly spectacular, as the lodge overlooks a lush snag of the Kruger's prolific Sabie River. Elephant and a variety of antelope are frequent visitors to these banks. The lodge is unfenced, and as such these animals roam freely between the stilted suites. At Narina, a maximum of 18 people can be accommodated in 9 exquisite suites, each with a private plunge pool, spacious viewing deck, air-conditioning, en suite bathrooms and an outdoor shower that looks out over the river. 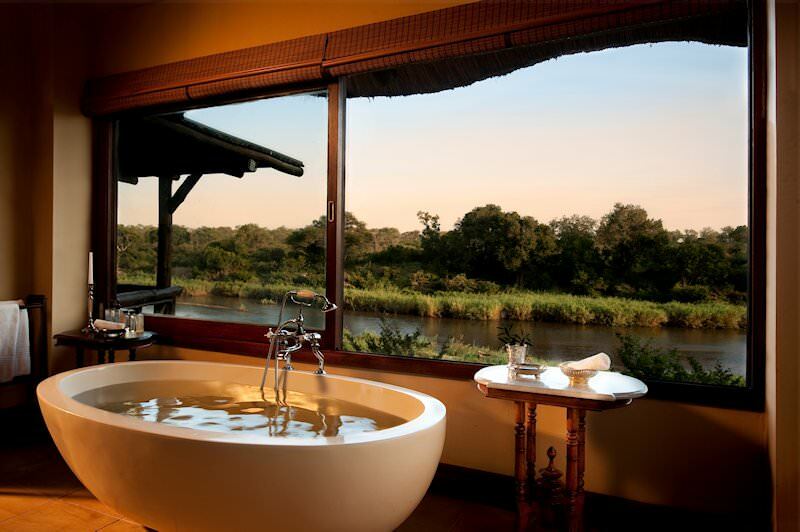 The sumptuous indoor bathtubs are also perfectly positioned to enjoy the lovely views. 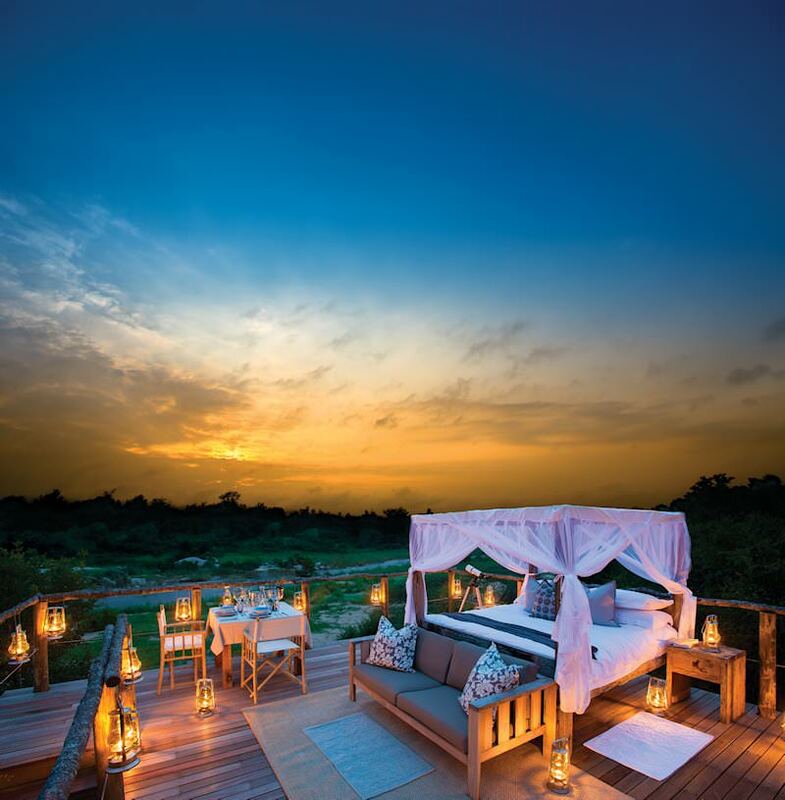 The lodge offers a luxury African safari experience that brings guests into contact with the continent's wonderfully wild creatures in a manner that is unsurpassed in comfort, style and service. Game drives in the company of experienced and knowledgeable guides cater for a maximum of six guests at a time, ensuring that, no matter where you are seated on the vehicle, you will always have an impeccable view. 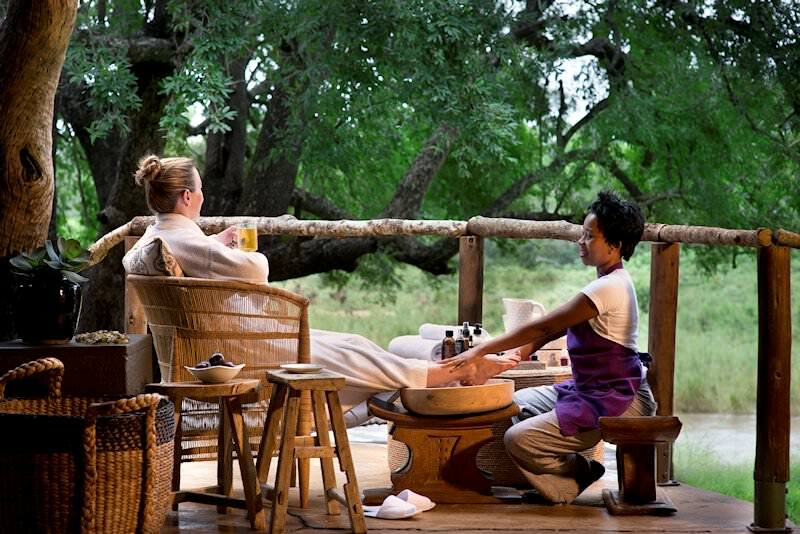 From O R Tambo International Airport, guests fly to Nelspruit in Mpumalanga and are then transported to Narina Lodge in the Lion Sands private concession for their Kruger National Park safari. The luxury lodge overlooks the prolific Sabie River and each of the nine private suites offer guests a personal plunge pool to enjoy the view. 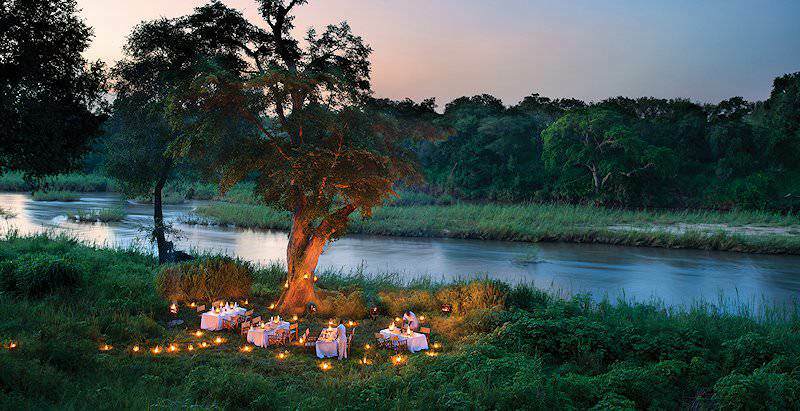 From bush breakfasts to lunch under the copse of ancient Jackalberry trees and dinner in the boma, each mealtime during this safari package is a unique culinary delight. When not feasting on chef’s delicacies, guests may enjoy two daily game drives in the wildlife-rich Kruger Park, home to the Big Five. 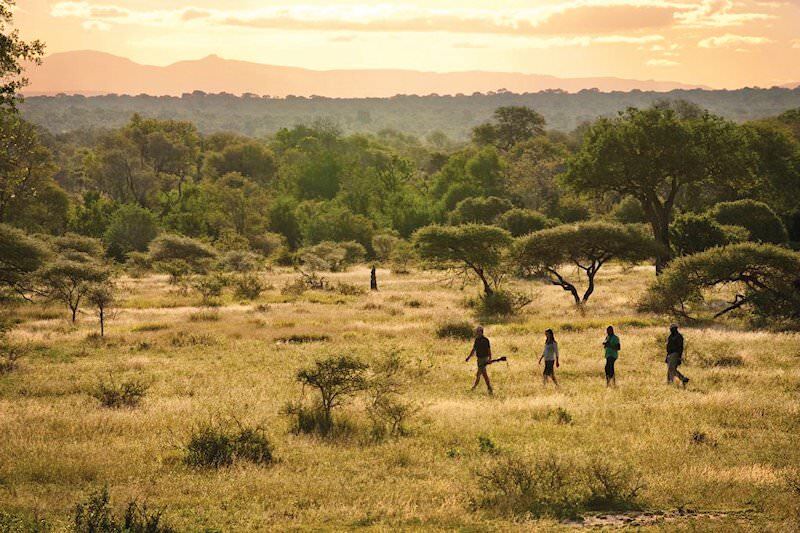 If you have a free afternoon during your safari and a pampering treatment in the health spa is too hedonistic an offering, head straight into the park with guide and tracker on a bush walk - an intimate wilderness experience. Narina Lodge is opulent and stylish, the service and meals of the highest quality. 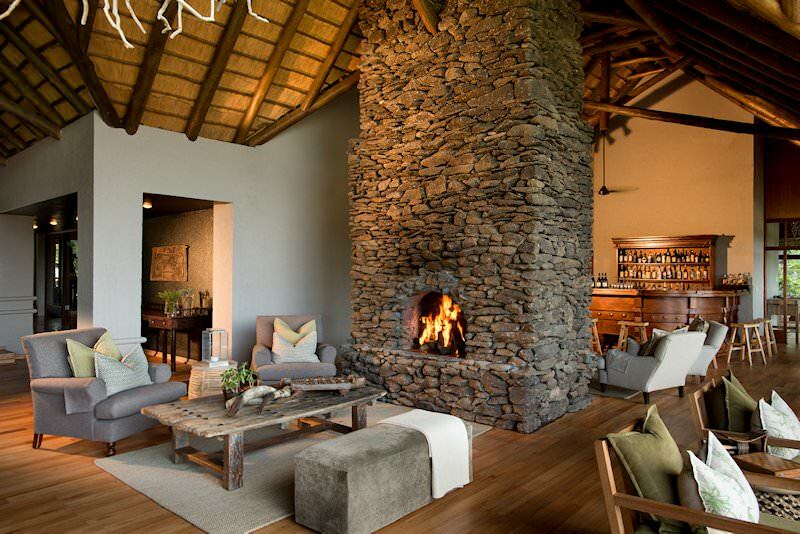 It is ideally located not far from Skukuza airport, which makes access to the lodge very easy. 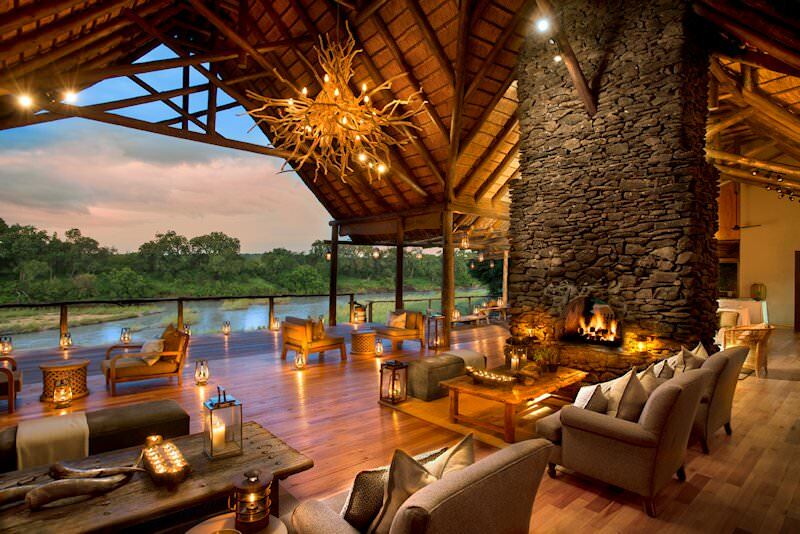 The area in which the lodge is located offers some of the finest game viewing in Kruger. Travel to South Africa for a memorable and diverse African safari. Botswana is one of the continent's wildest and most pristine safari destinations. Namibia's Etosha National Park is the country's most prolific safari destination. Zimbabwe is home to the awe-inspiring Victoria Falls, the world's largest waterfall. Mozambique is a tropical paradise replete with sandy beaches and stunning islands. The Kruger National Park is South Africa's largest and most important conservation area. The safaris here are unforgettable. Our luxury safaris are characterized by plush accommodations, wild settings, exquisite meals and rewarding game viewing. The Big Five occur in healthy numbers across South Africa's parks and reserves, from Addo in the Eastern Cape to Phinda in Zululand. We include a choice selection of African lodges in our safari packages, from four star camps to extravagant lodges that defy star ratings.